As the temperatures dip and the most of the leaves have changed and fallen, Halloween looms ominously just around the corner. While always a great time to watch a scary movie, pick out a costume or attend a party, many Americans are on the hunt for something that the whole family can enjoy together. So, while people are planning how to make their holiday memorable, here are a few Halloween hot spots that have been making headlines. The Boston Globe reports a broad range of haunted happenings in Salem, Mass., famous for its trial and execution of 20 suspected witches in 1692. 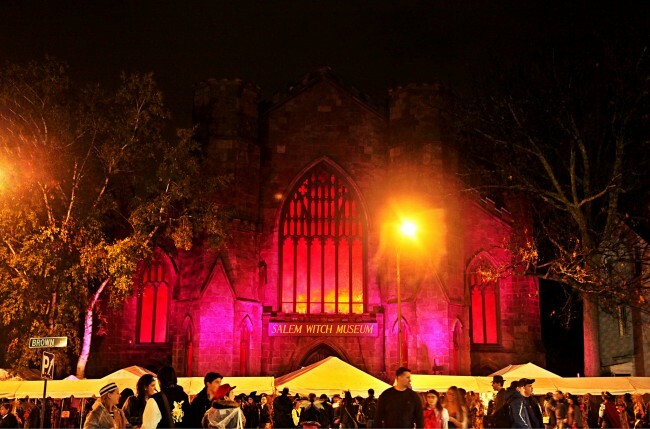 The city has been a top Halloween hot spot since the inception of its Salem Witch Museum. The museum serves to memorialize the 19 men and women hung and one man pressed to death under stones. To this day, nobody knows for sure where their bodies rest, as they were forbidden to be buried on hallowed ground. The entire town carries an eerie ambiance, from Winter Island Park and its sentinel lighthouse to The House of Seven Gables, immortalized in a novel of the same name by Nathaniel Hawthorne in 1851. 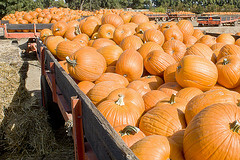 Across the country to the west coast, the Sacramento Bee reports that Cool Patch Pumpkins of Dixon, California, set another Guinness world record for the largest corn maze this Halloween season. The Cooley family, owners of the property, told The Bee “It still feels great to be in the Guinness record books as a new winner, even though we were competing with ourselves.” They managed to break their 2007 record of 43.5 acres this year, measuring in at an impressive 63 acres. Many families report taking several hours to complete the maze, indicating that patience and aspirin may be essential equipment for successful navigation. 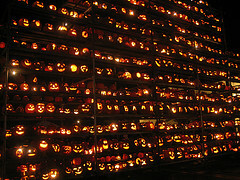 Doubling back to the east coast again, Keene, New Hampshire tragically fell short of exceeding its 2013 Guinness world record for most lit Jack-O-Lanterns at its annual Pumpkin Festival. In the midst of a near or actual riot of beer soaked students from the nearby Keene State University, participants this year were only able to keep 21,912 of the pumpkins lit, down from last years’ high-water mark of 30,581. What the crowds of college students appeared to be protesting was the local police department’s $286,000 armored personnel carrier, which they had received for free from the federal government two years prior when the town claimed the pumpkin festival to be a potential terror target. What would provoke terrorists to strike a rural liberal college town, and how an armored personnel carrier kept in a secret garage would be able to prevent such a surprise terror attack, appear to be a questions stumping national defense experts across the country. Perhaps their humble Halloween spirit and drunken shenanigans too closely resemble the American values of freedom and democracy, the anathema of terrorists worldwide. Whatever venture it is that the All-American family decides to embark upon to mark the season this Halloween, they would do well to put down their phones and live in the moment. Informal reports indicate that before they know it, their kids will be grown and go off to college. With that in mind, a writer for the Guardian Liberty Voice, who wished to remain nameless at the time of publication, was quoted as saying that he “wishes you a happy and safe holiday”, and urged you to check out these Halloween hot spots.